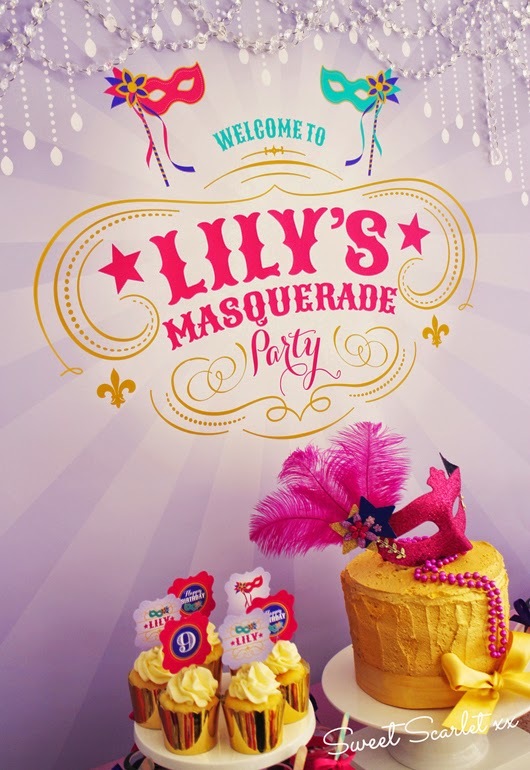 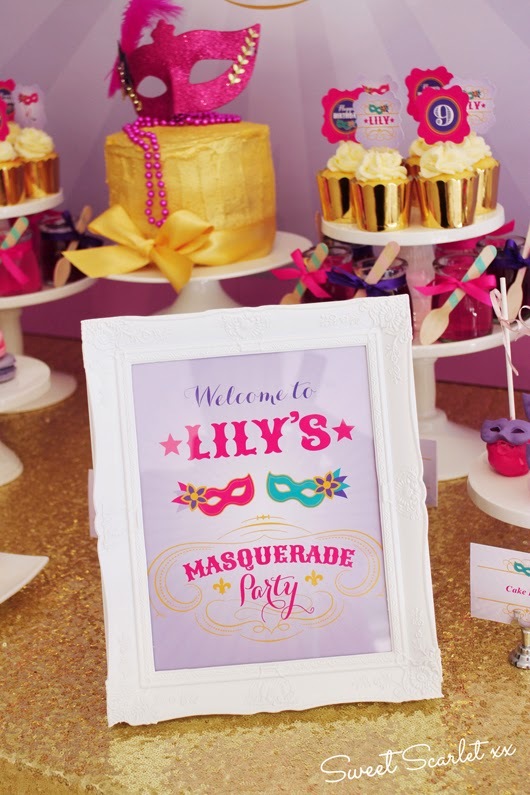 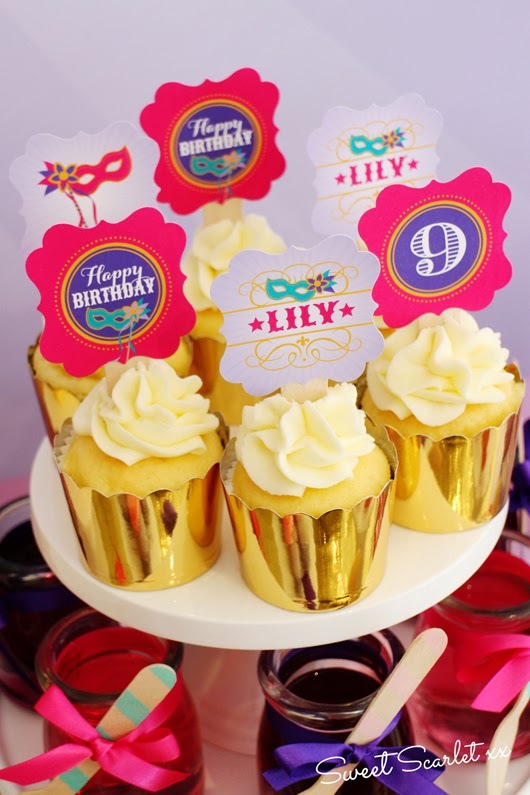 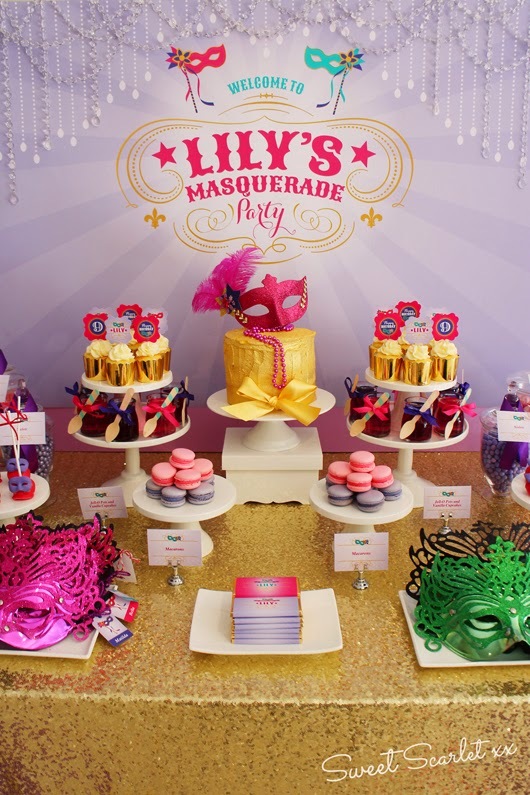 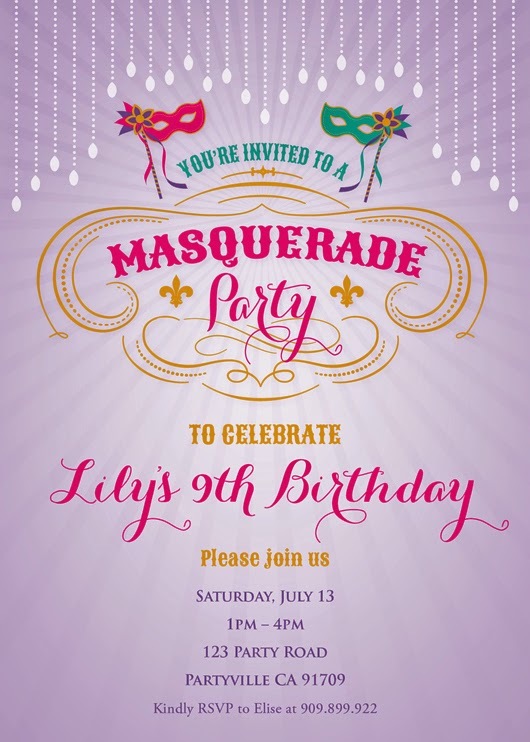 Welcome to my daughter Lily's 9th Birthday Masquerade Party! 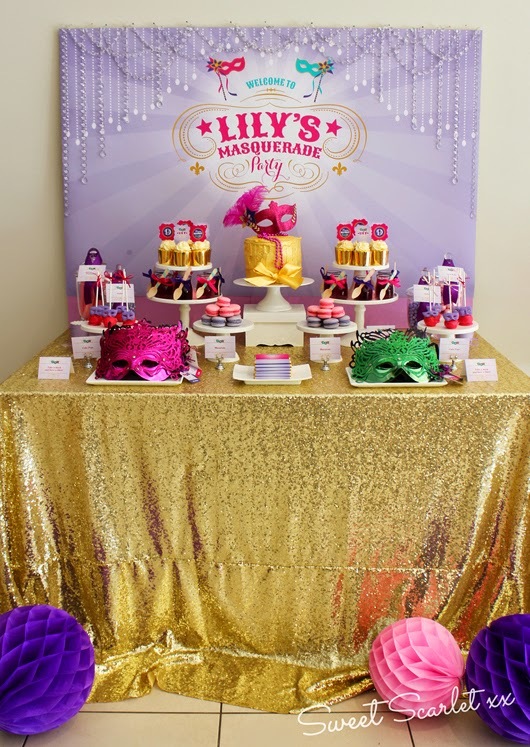 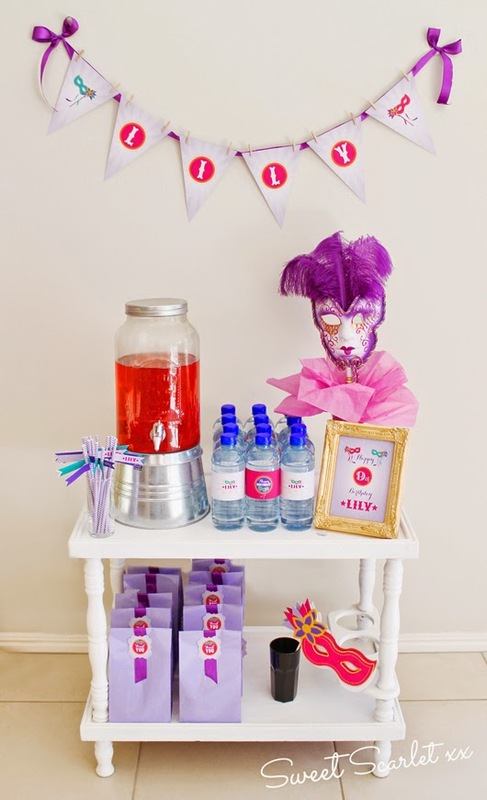 My daughter and I really brainstormed what theme to have for her birthday party this year, and we eventually settled on a fun Masquerade party. 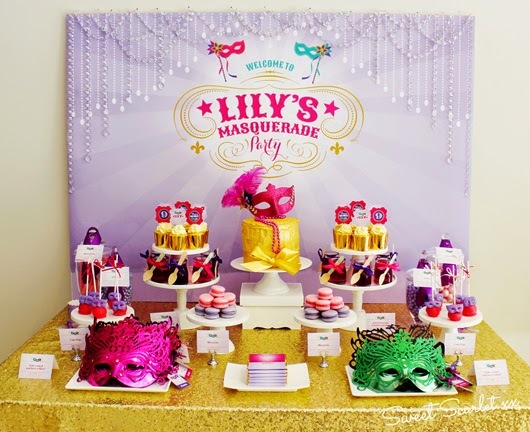 This theme was so great to work with! 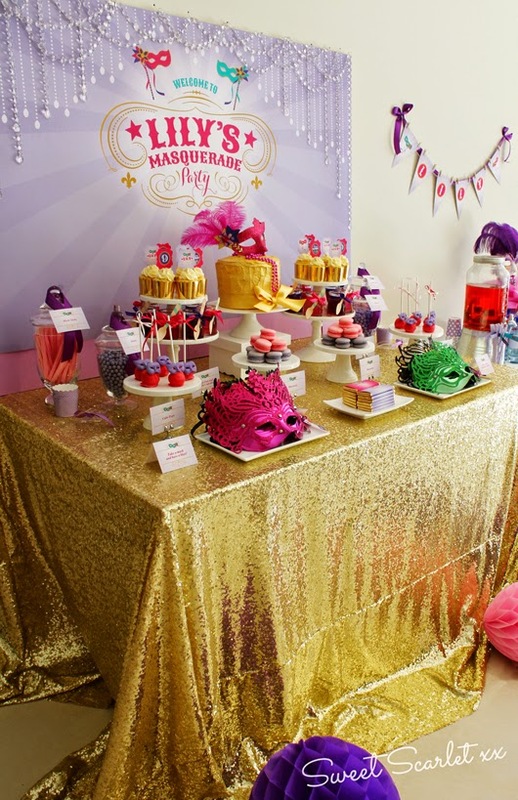 Instead of going for something dark and black, we kept the color palette light and fun with light and dark purple, hot pink, teal and gold. 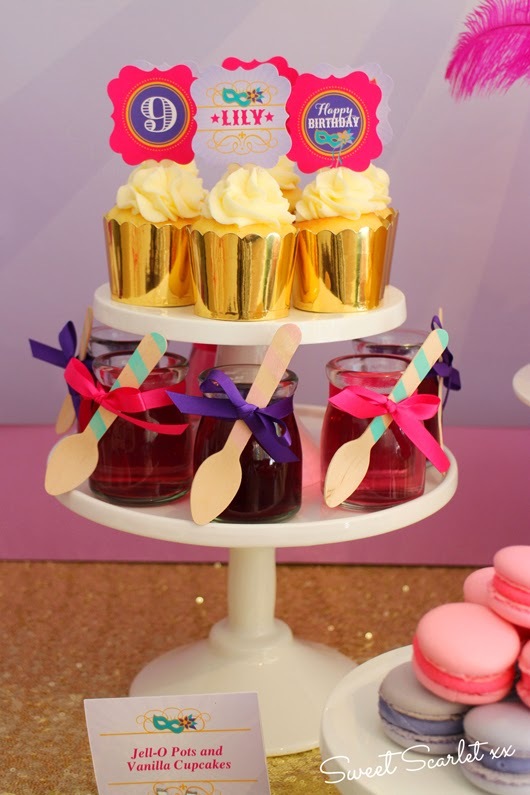 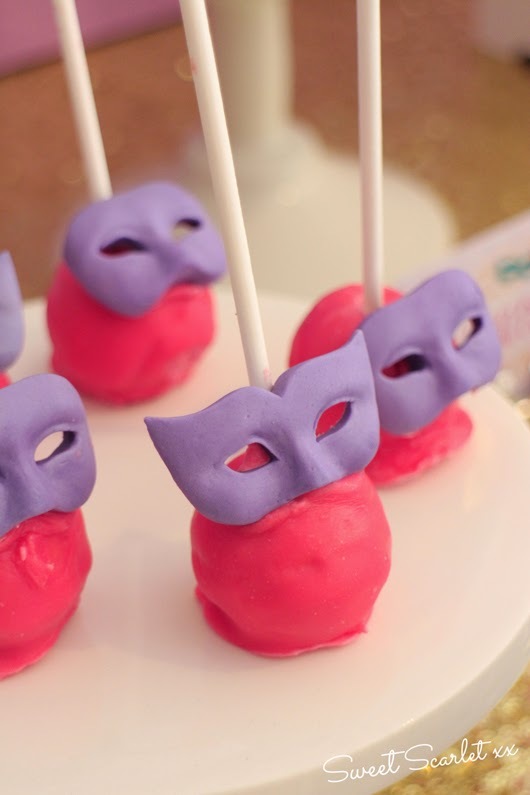 Each guest received their own ready-to-wear mask, and sweet treats included Jello-O pots, vanilla cupcakes, cake pops, macarons and candy. 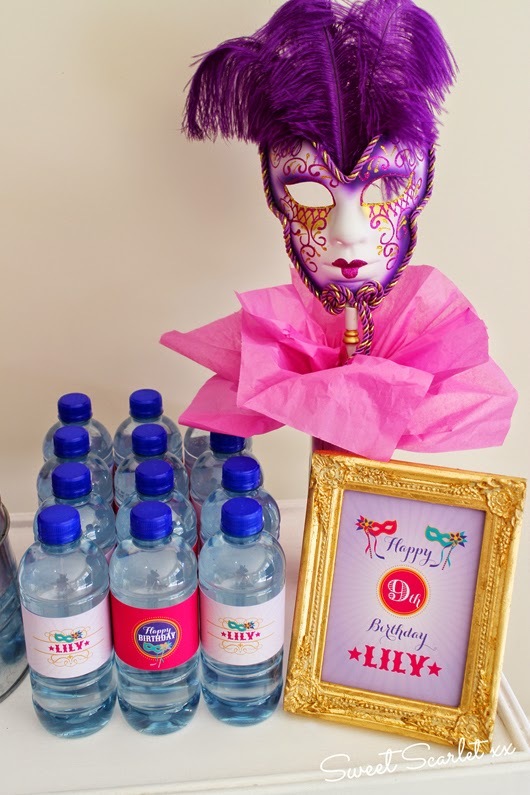 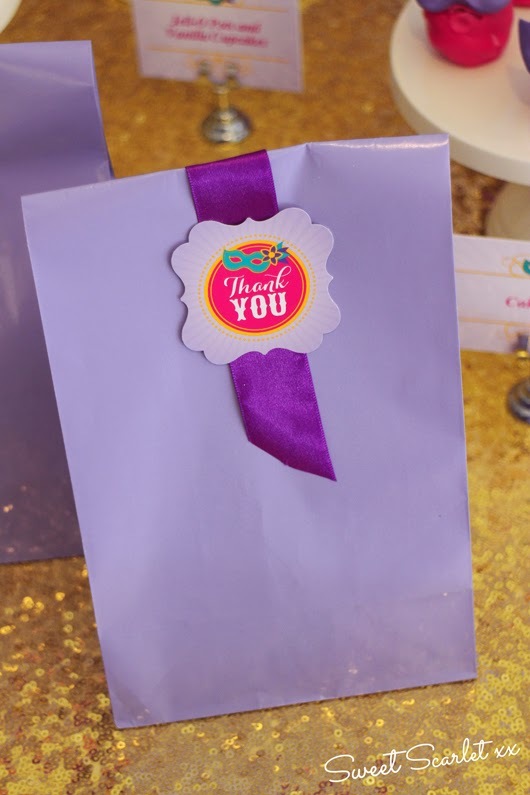 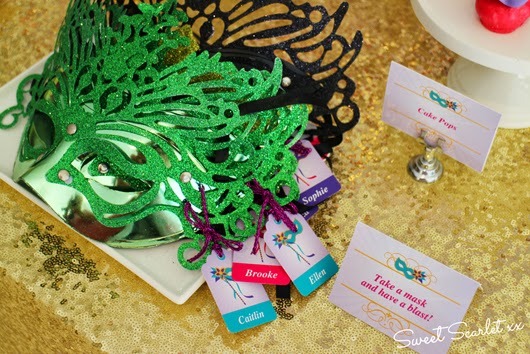 Activities for our 15 guests included a mardi gras-themed scavenger hunt and mask decorating station with feathers, jewels crystals and more. 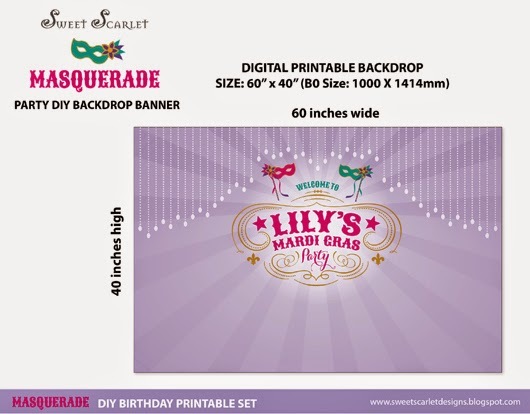 This printable design including a printable invitation, printable decor set and printable backdrop artwork are available in our Etsy shop. 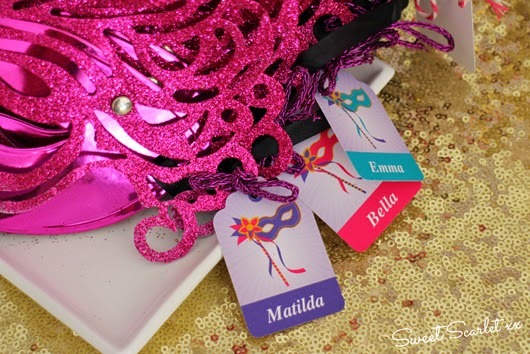 Create your own Masquerade Extravaganza! 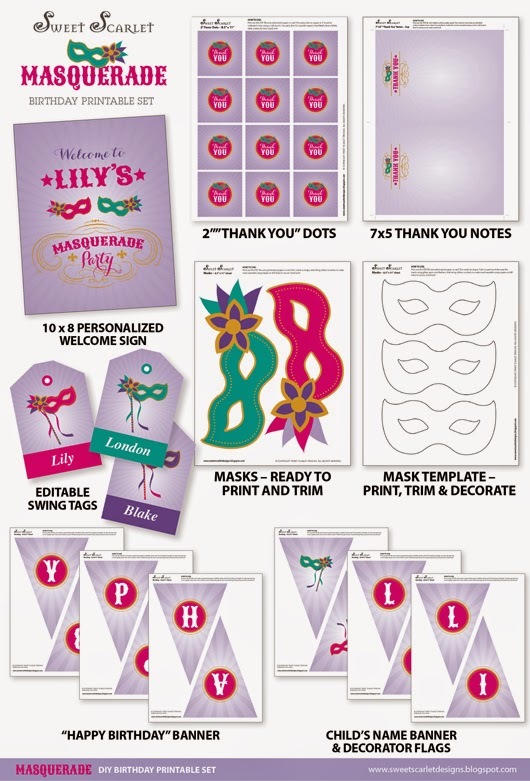 This party also works for a Mardi Gras theme as well as a masquerade, and options for this printable set are available in our Etsy shop. 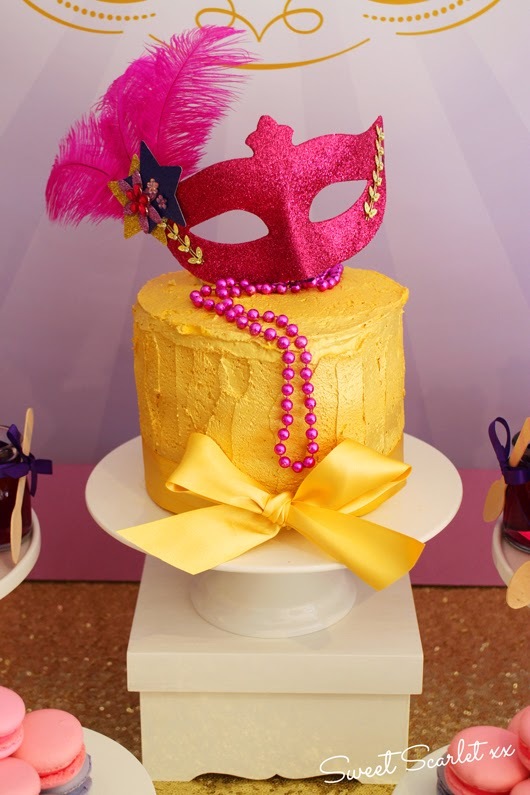 with buttercream I used an edible metallic spray to cover the cake in amazing gold. 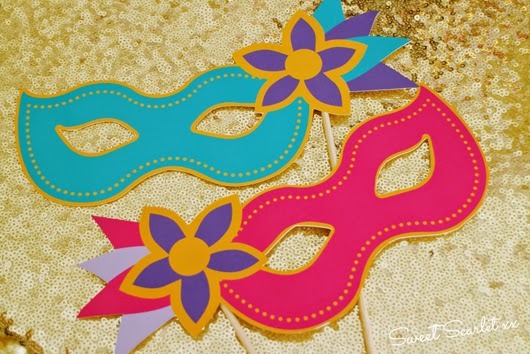 I added a mask for decoration and I was done! 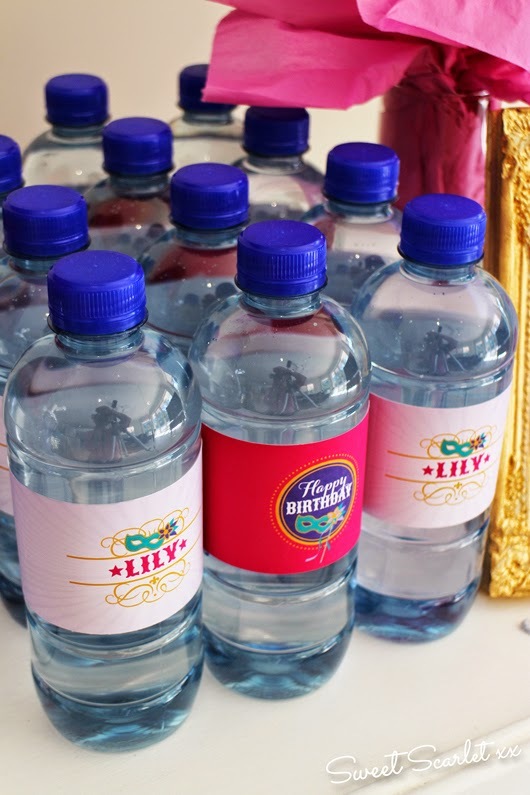 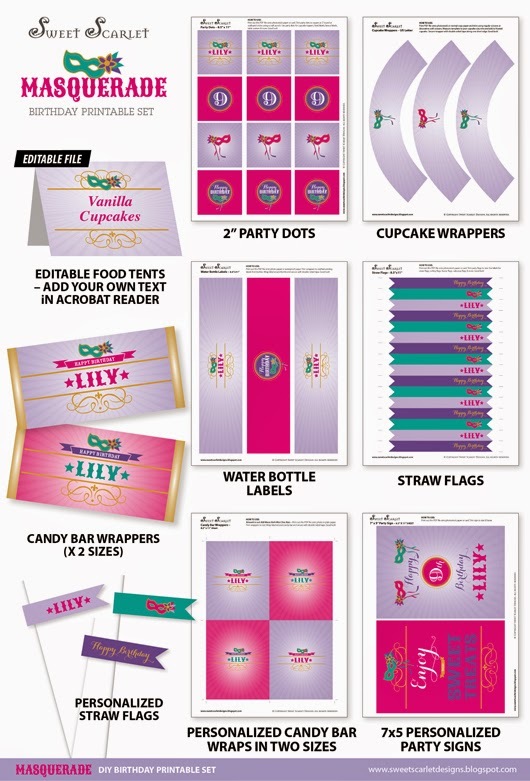 Editable Buffet Labels / Food Tents - add your own food names using Acrobat Reader. 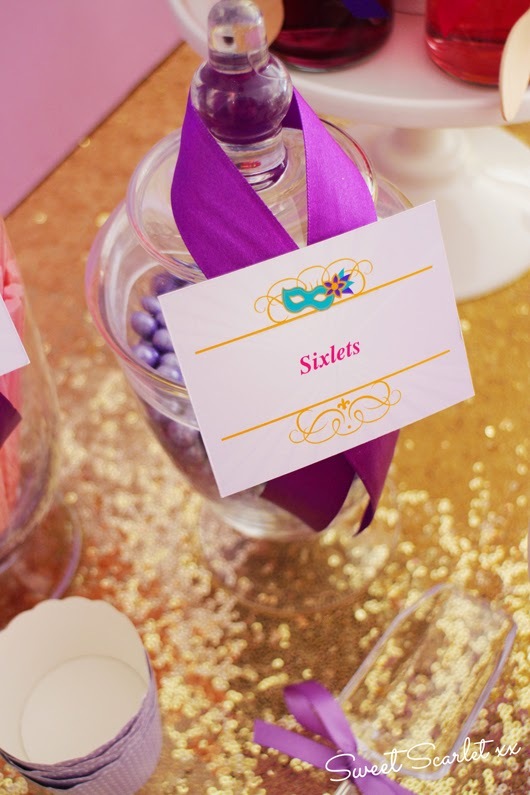 These cards can also be used as place cards. 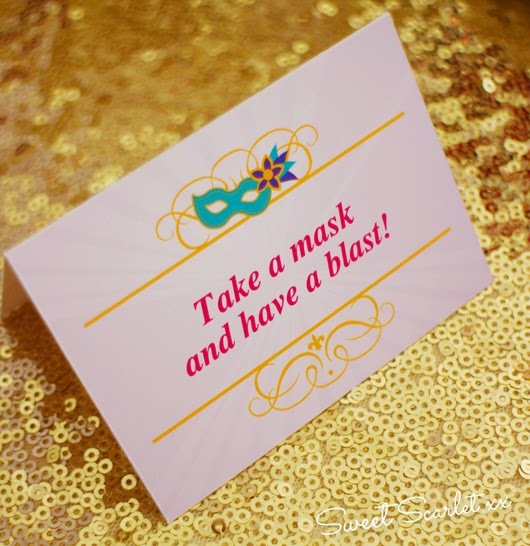 blank template printable file for your guests to decorate. 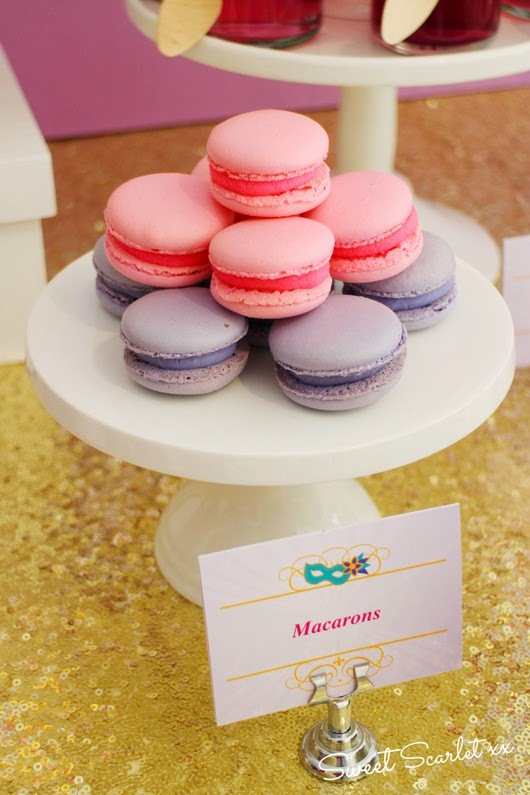 Editable Food Tents can be used all sorts of ways! 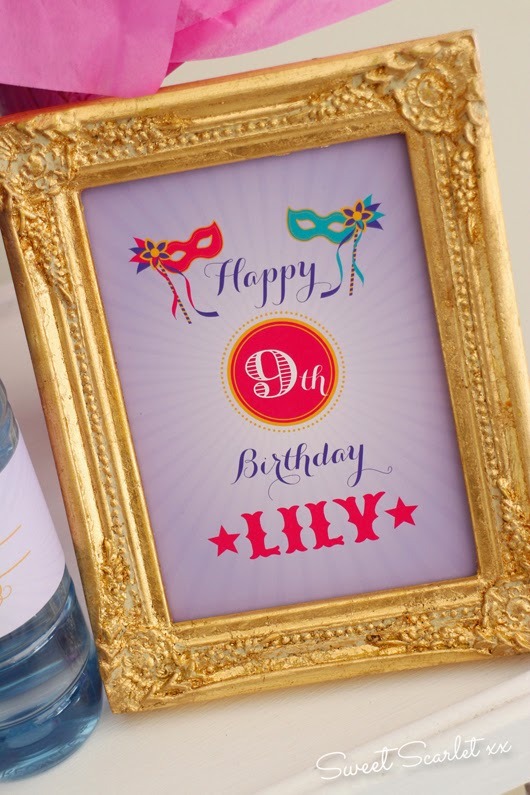 Personalized Printable Backdrop Artwork is also available. 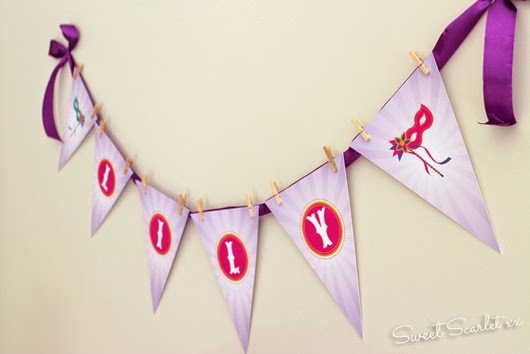 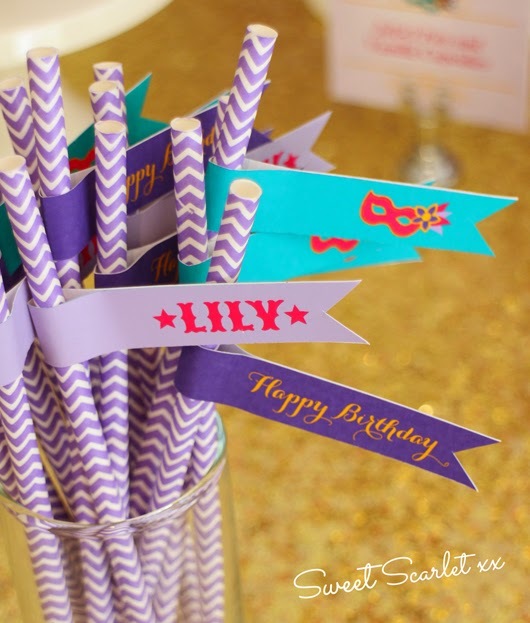 Printable Bunting Banner Flags for your child's first name and "Happy Birthday"